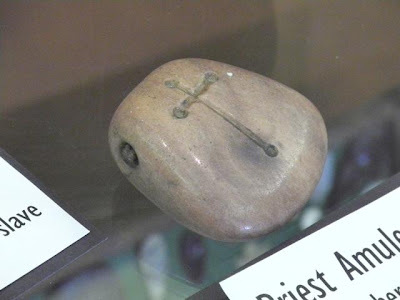 This amulet was found at Iron Springs west of Cedar City, Utah along the Old Spanish Trail. 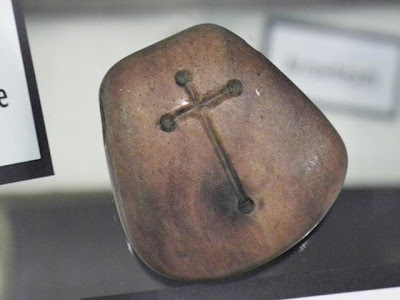 The amulet is believed to have been from the Dominguez-Escalante Expedition that camped at the springs in 1776. You can see it in the San Rafel museum in Castle Dale, Utah.